When we started the podcast version of B-Movies and E-Books, we wanted for it to be an open conversation between two lifelong friends about all of the movies and books that we love, with a very heavy focus on genre films and fiction. It was the same conversation that we would have had anyway, so we might as well record the conversation and see if we could expand the conversation via twitter with other like-minded individuals. As the podcast continues to grow, we decided to expand our webpage as an outlet for additional reviews that would not be included in the podcast. We currently do not want to be the site that breaks all of the news. There are a million sites that already do that. We want to be a site that reacts to cool news, reviews whatever the hell we want, and opens up a dialogue with a much larger community. 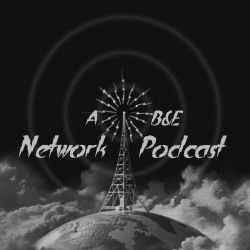 Now you can subscribe to all of the shows the B&E Network has to offer. Podcasts that specialize in reviews of off-kilter movies, unconventional books, and coverage of comic books.